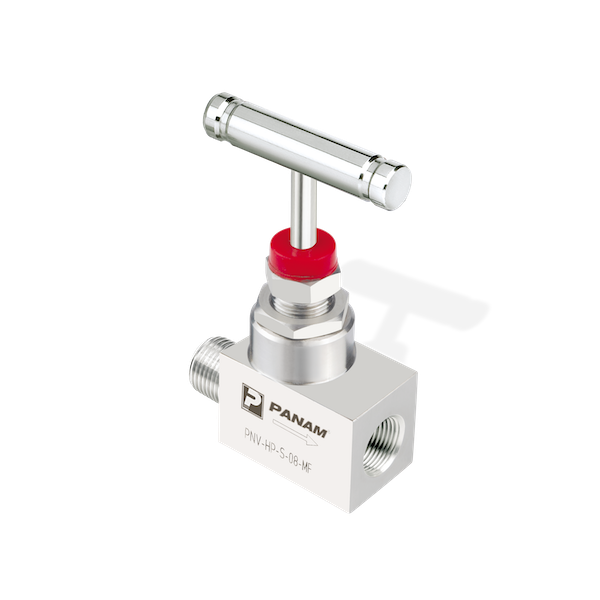 PANAM Needle Valves are specifically designed and manufactured for use in corrosive and hazardous environments. These valves are used in process control, instrumentation and flow control applications and are precision machined to provide a high quality, low cost alternative. 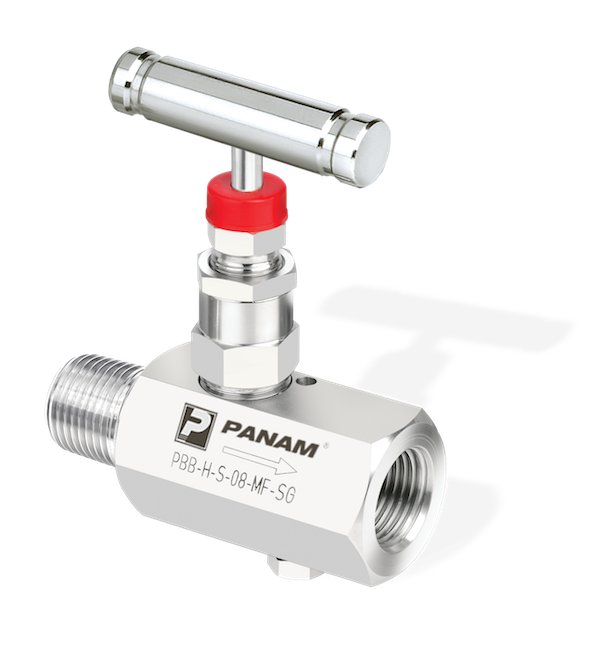 PANAM HB Needle Valves are hex bar stock valves and are constructed out of 316 Stainless Steel (SS) or A105 Carbon Steel (CS), however exotic metallurgy is available for special order. Standard end connections include female or male threaded (NPT) however BSP, ISO, DIN, and JIS tapered pipe ends are also available. 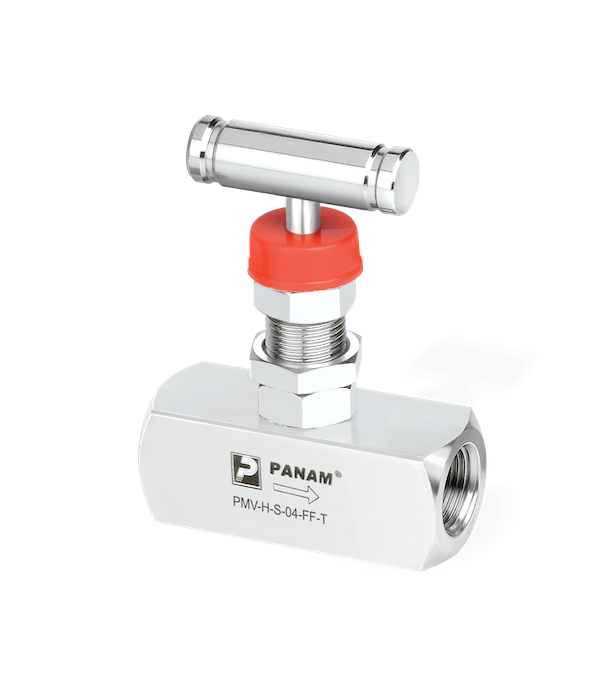 PANAM Mini Series Needle Valves are exclusively ¼”, and are designed for small volume applications. Applications include isolation of smaller instrumentation such as receiver gauges and instrument gas in dehydrator and separator packages. Mini Valves are available in MNPT or FNPT configurations in both A105 Carbon Steel and 316 Stainless Steel NACE and stem packings are made of Viton or PTFE Teflon. 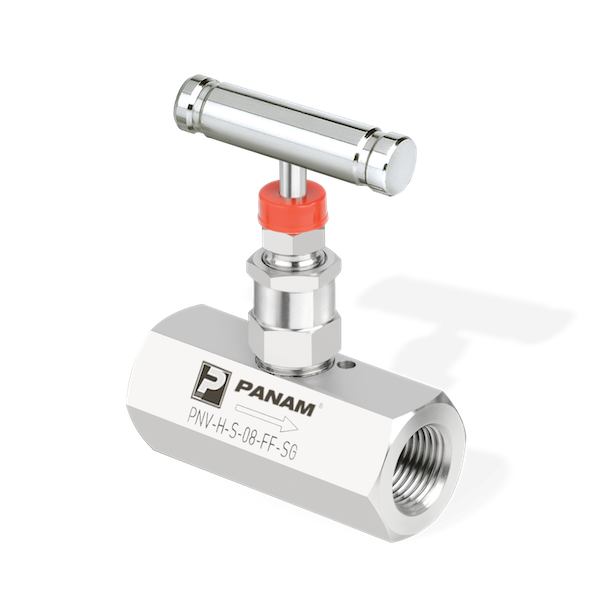 PANAM High Pressure Series Needle Valves are specifically designed for use in corrosive and hazardous environments. They are built to 10000 psi (700 bar) or 20000 psi (1400 bar) and are composed of high grade, 316 Stainless Steel. Generally, end connections are male or female NPT, however NSP, ISO, DIN, and JIS tapered pipe ends are available upon request. PANAM HB Block and Bleed are similar to HB Needle Valves, except they have a vent port on the base of the valve to release excess fluids once the flow of fluid has been blocked, to prevent it from going downstream. They are constructed out of 316 Stainless Steel (SS) or A105 Carbon Steel (CS), however exotic metallurgy is available for special order. Standard end connections include female or male threaded (NPT) however BSP, ISO, DIN, and JIS tapered pipe ends are also available.